« Eureka! I Found My Motivation! J. Farand has written a guest post for There From Here on believing in your right to take hold of your destiny by eliminating distraction and focusing on your dream. As most people who follow my blog or my twitter feed know, I am not one for a lot of empty statements of positivity that leave you with no practical applications. My spirituality doesn’t need to be bolstered by the applause given to the preacher or speaker that can only proffer me statements such as “keep the faith,” or “the tide will turn.” However, with my experience, and my forth coming success as a writer and student, I have learned to be a little more open-minded about faith-based mantras. So here is one of the more faith based affirmations I walk around with: I am here for a purpose. Regardless of if I am simply a unit of congealed waveforms or a hierarchy of cellular organs in cooperation, there is a high level of work that has been put into each of us. I have never thought about giving up. I’d almost say any failure I have suffered through was more bad values than bad aiming. However, we have all gone through a situation where we could taste the pity. In those times it has always been my practice to remind myself of who I have touched and what my gifts are; and, that usually helps to jog my memory as to why I embarked on the journey in the first place. We are all being driven to vibrate at a higher pitch. We are all being driven to live our lives in a healthier more stable and more satisfying way. Never forget that the Sun shines on you and not without reason. No one wants to finish in second place. But often we dare ourselves only enough before complacency sets in. We fail to push ourselves that one last lap as hard as we can; and, we settle for second best. The reality of this metaphor, however, is that settling could mean the difference between a good career and a great self-owned business. Once you have begun to walk that plank keep going. Don’t turn around. We know what is back there: the life we left to pursue our goals. The place where our dreams didn’t come true is back there. Don’t go back there. I used to cut out pictures of toys that I wanted my parents to buy when I was a child. As I grew, I began to do the same thing with the type of home I wanted. I imagined how the furniture might look and the means in which I was entertained. I even had a pet snake in one of my collages. 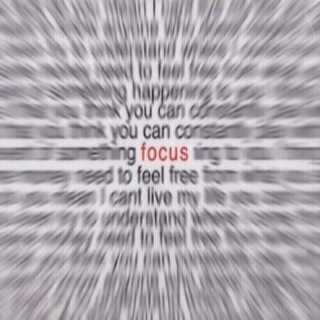 Nothing defeats your focus better than being stuck focusing on the present surroundings. I live here. I’m not here. For many who have never been in the worst of places, it is easy to tote philosophies of being in the moment, and in the present. Yeah. Tell that to a child buried under a building awaiting assistance, “Just think about the moment…” Blah and more blah! The more practical approach is to transcend the moment. Step outside of this dimension for a moment; and, walk into the dimension that you are now creating. Smell it for just a minute. Taste it. Tape stick-its to its walls. You have to have sight beyond sight. This is not for those of you who are simply hoping for a raise. I’m talking to those that truly wish to transcend. This writing is for those who are focused on transforming their lives in a major way. Those types of people have to momentarily tolerate the mediocrity of their present condition, while forging their future, now, by transcending the moment. Live in the now while behaving and thinking as you would if you had already accomplished your goal. In the same vein as the last, you must learn to be your future you, now. One of the basic fallacies of learning is that we believe that we will always enjoy the same things, or behave in the same manner in the future as we do now. How immature would the world be if that were true? Consider yourself. Consider what words you would use. Consider your posture. Consider your working habits. How can you increase the frequency of your performance in the present to the level you believe you would in your future? Long term or short term goals leave indelible marks on our souls once accomplished. The world changes around us as well. It is as if you begin to emit a pheromone into the air that says successful. Why not become that person now? Train your focus by training yourself to be what you are focusing on becoming. Why wait? This one is ironic, mainly because everyone says I have an aggressive mug, so even I have to practice my smile daily. I believe it is important to enjoy yourself. Yes, you may still have a few more years to crank out that final lap of your goal, but hey, why not get ready now? Success comes with a social life, and you’d better have a decent meet and greet posture. I smile just to remind myself I am one step closer to that vision. I smile to calm myself. I smile to tease away the temptation to pull away from an assignment that is necessary for my overall success. I smile because I love me enough to. Part of success is happiness and inner peace. I express that with a smile. Look out for Part 2 in the near future! Do these tips help you? How do you find focus in your own life? Answer in the comments and let’s all help each other get there from here! This entry was posted on April 13, 2010 at 12:09 PM	and is filed under Advice. Tagged: black, career, character, focus, get there from here, linkedin, success, twitter, use your gift. You can follow any responses to this entry through the RSS 2.0 feed. You can leave a response, or trackback from your own site.